"Students learn to express themselves in a positive way just as God, the greatest artist of all, does for us daily." 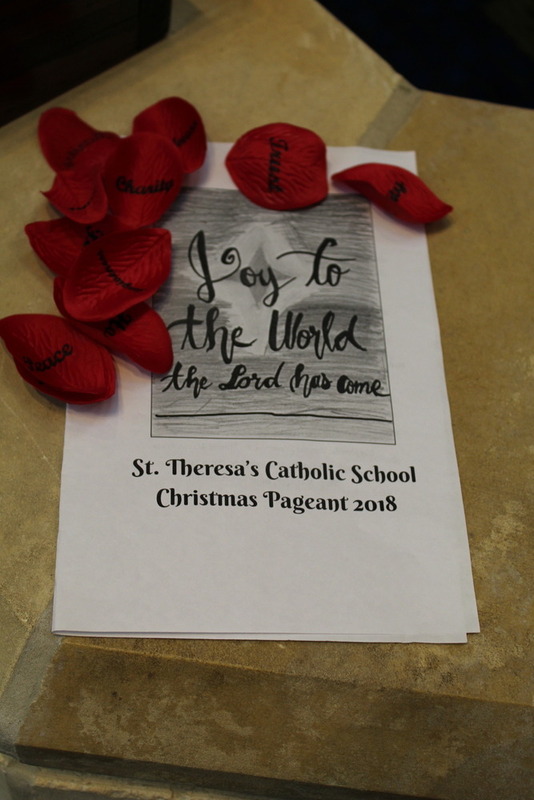 Music Education at St. Theresa’s Catholic School offered to all students PreK-6th, and a variety of music electives are offered to 7th & 8th grade. Instead of units, students work on musical concepts: rhythm, pitch, form, movement, timbre, tempo, mood, beat, and melody through a four step process: imitation, exploration, create, and improvisation (Orff Process) throughout the school year. Students learn how to problem-solve, communicate, and be expressive. Every year, we put on a school wide performance for Christmas, as well as other performance opportunities such as : singing at a community nursing home, middle school Choir Festival performance, playing recorders at Grandparent&apos;s Day, and a school-wide Talent Show in the Spring. STCS is one of the only schools in Austin to provide Theatre as a class for all of its students. Pre-K through 5th grade learn valuable social and emotional skills through playing, collaborating, cooperating, and sharing their theatrical talents. The year includes units from Mime, Puppets, Reader’s Theater, and Script Writing. 6th graders explore theater learning empathy to create characters and genuine emotional expression. Middle Schoolers are able to take a variety of electives in theater that include: Musical Theatre, Acting, Production, as well as Speech and Debate. The Visual Arts program at St. Theresa&apos;s focuses on what students find the most fun on production of drawings, paintings, sculptures, and prints. We pull from art history as much as possible and incorporate art description, analysis, and criticism regularly. We work in a cooperative, friendly environment and are responsible with our subject matter materials.